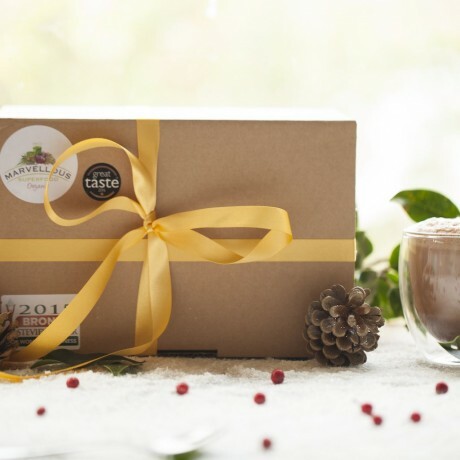 This incredible, high quality gift box contains a full sized tub of luxury, all natural Super Cacao drinking chocolate by Rosamond & Ivy, two hand-blown, double walled drinking glasses by Bodum and two envelopes of seasonal drinking chocolate spices beautifully presented in a rustic box with raffia, ribbons and a gift tag. The Pavina double walled glasses have been hand-blown by Bodum’s artisan craftsmen, these stunning insulated drinking glasses keep drinks warmer for longer. 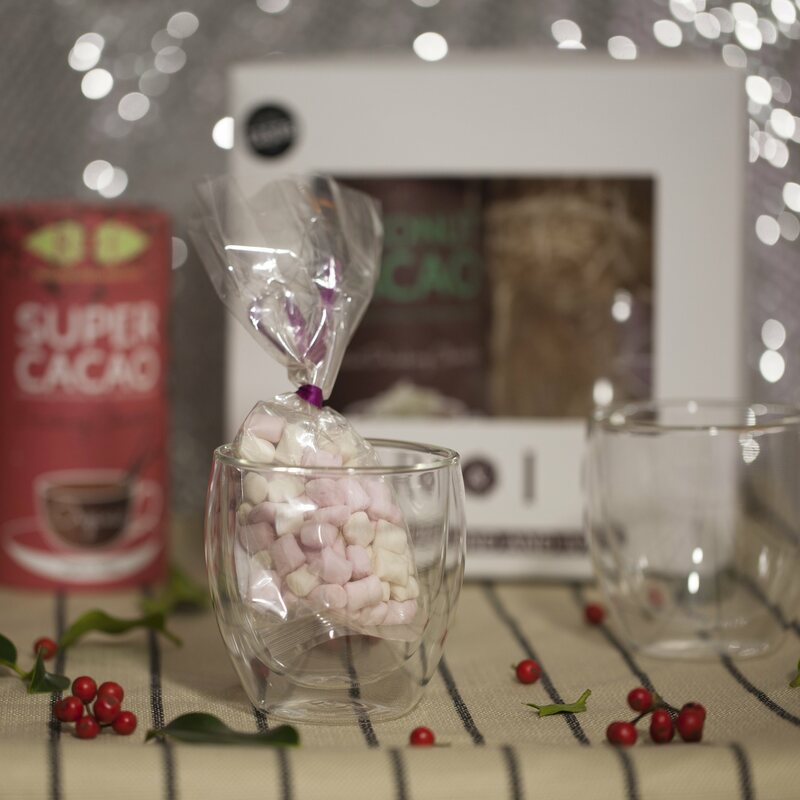 Made from toughened borosilicate glass they’re designed specifically to withstand both high and low temperatures and are dishwasher safe. 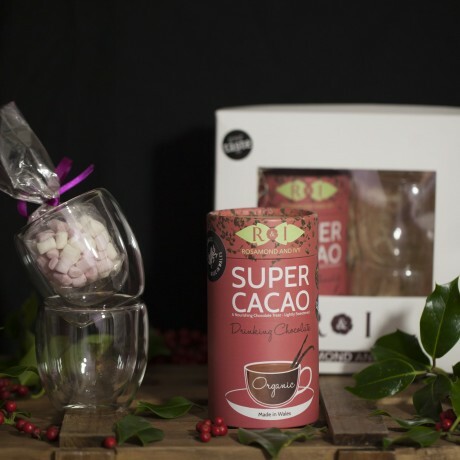 Super Cacao is a multi award winning deep, rich chocolate with undertones of aromatic vanilla and a touch of sweetness. 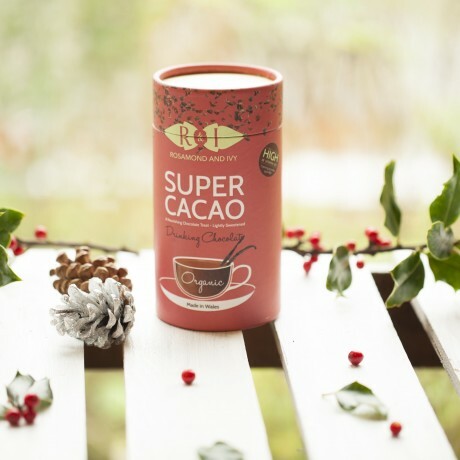 Perfect for those who like their drinking chocolate rich and powerful. 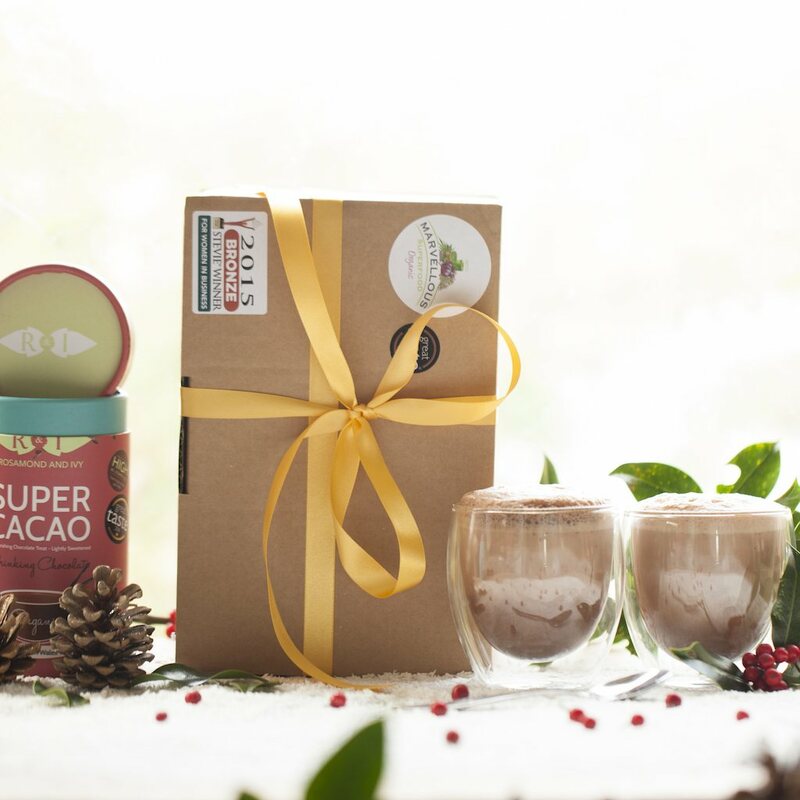 Made with a base of high quality, raw cacao this is a rich lightly sweetened blend containing just Cacao, palmyra jaggery and vanilla. Palmyra jaggery is nectar from the blossom of the palmyra palm. 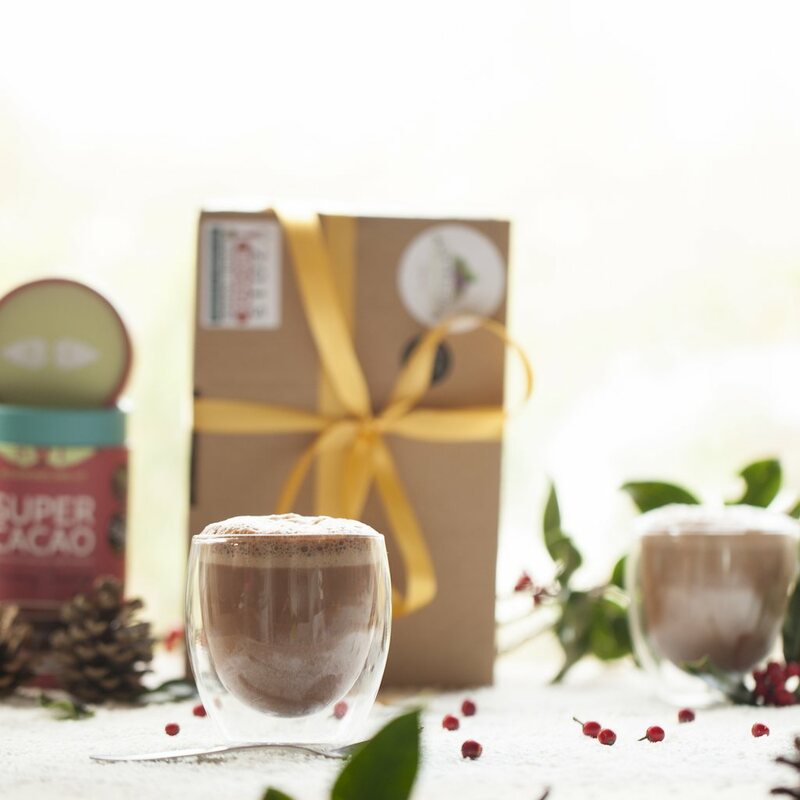 This unique sweetener is low GI and rich in Vitamin B12 – just one cup provides your full RDI.The Pavina double walled, glasses have been hand-blown by Bodum’s artisan craftsmen, these stunning insulated drinking glasses keep drinks warmer for longer. Made from toughened borosilicate glass they’re designed specifically to withstand both high and low temperatures and are dishwasher safe.Spice sachets: two mini envelopes one with chill and one with seasonal spice to add to your drinking chocolate. Spice sachets: two mini envelopes one with chill and one with seasonal spice to add to your drinking chocolate. Raw cacao, Palmyra jaggery, Vanilla powder and nothing else.